In today’s competitive world where products vie fiercely for the attention of the consumer it’s easy to see how important a product label is in making your item stand out from the rest (Read Why Labels are so Powerful). Entrusting your product’s label manufacturing with one of the best label companies available is the first step in attracting your ideal consumer’s attention. So how do you find these label companies? And how do you know they are in fact the best label companies. 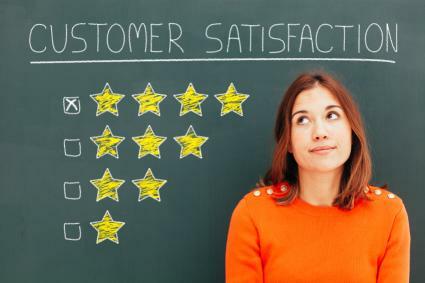 The most important trait that the best label companies have in common is that they have their customers needs at heart. Whether this is providing advice on which label adhesive to use or squeezing in a label printing job at the last minute, the best label companies will do just about anything to make sure that their customers are more than satisfied with the outcome. Subsequently if something does go wrong with an order, the best label companies take full responsibility and correct it as quickly as possible without causing any further delay or cost. The best label companies can and will professionally advise which label product is best for your product and your brand after they have truly tried to understand your unique business. If you’re not sure which paper, colour, adhesive or size label to print, your chosen label company should be able to advise you on the correct solution to choose. Studies have shown that the best label companies consistently provide high quality labels as well as high quality service to match. This service begins at a label manufacturing enquiry and goes right through to post purchase service. Each touch point with a client should be professional and helpful and the end product should of course be of the highest quality too. The best label companies usually give a few options in terms of which label solution is right for your product and your pocket, and not just present the most expensive option. 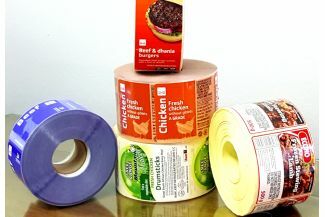 The best will advise on the most cost effective route to print your labels as they understand their customer’s needs. Technologies in all industries change constantly and in order to stay ahead of the competition it’s vital to stay abreast of this. The best label companies will be continuously learning and developing their internal processes and technologies in order to supply the best possible solution for their customers. It’s therefore important to choose a label company that keeps themselves informed and up to date with anything that is happening in the industry and is a leader. So how can you tell that a label company does do all of the above? Google too is a good way to check up on any negative comments or reviews on forums that a company may have received in the past. Although it’s a good idea to take some comments with a pinch of salt, if the same company keeps coming up in a negative light it’s a good idea to move on. Another good way is to find a great label that you love and find out who manufactured it. By seeing an actual label that has been created by the label company, you may feel a bit more secure about who you’ve chosen to work with to manufacture your labels. Working with one of the best label companies will give you a sense of security and assurance that the job will be done correctly. Ideally you want to find a Label company that you can partner with for the long term. The more labels they print for you, the more they will understand your needs, timelines and requirements and this will lead to loyalty as well as quality work.